I’m no longer baby Larisa, I’m all grown up. Now, if I come back, I’m doing it strictly for myself. Because that moment when I’m on the apparatus is my moment. ‘Larisa, why bother with gymnastics again?’ my mother asked. As a parent, I think you have to be very strong to bring your child to gymnastics. Clearly, if my child wanted to do it, I would encourage and support her, as they did with me. My whole family played sports: my mother played handball for six years, my father hockey and football, my brother football. They didn’t want me to waste my time on the streets. They did not push me into gymnastics or anything else for that matter, but they have always encouraged me. When it got tough, during days when you just don’t want to go to practice, I would call my mom and say, „I’m going to the gym again but everything hurts, I’m so sore’, and she would answer, „Come on, you can do it.” When I had moments of doubt and I wanted to give up – it’s impossible not to have them – I would say, „Come and take me home,” and she would lay it out for me. „You have two options: if you come home, you go back to school because you have to do something, you will not stay at home, none of us stay at home. Or you can do what you like. It’s tough now, sure, but maybe later you’ll regret giving up.” I said okay, okay, I choose gymnastics. Every time. Even now, I could not stay away, no matter how much I tried. Last autumn I had the third surgery, in Vienna, and my doctor told me I could go back to training. Before, when I did not have a driving license, my mother used to take me. Now I go by myself, no one pushes me. If I have practice at 10, I wake up at 7.30 and at 8.15 I’m out the door. Yeah, because I realized how much I missed it. This is my last chance, I told them. This is the last chance I’m giving myself. Let’s rewind a little. When we got to Montreal for the 2017 World Artistic Gymnastics Championships, training was going perfectly. I nailed all the routines, I was relaxed in practice, but when I left the gym I was getting nervous. I could not sleep, I could not rest. When I woke up on the day of the competition, I was so jittery, I could not control myself. I went to breakfast and wondered what was wrong with me. It wasn’t about the competition, because I had gone over my routines in my mind and everything was perfect. I was afraid that something was wrong at home, but I spoke with my parents and everything was fine. Everything went well during warm-up. I told the coach I was going to the bathroom, then I was going to do one last warm-up session before the competition. I did a series of somersaults and felt a sting, but insignificant, barely there. It was only one day of competition and I thought I could tough it out. But that strange state of agitation started again. I entered the competition arena and went to the corner of the floor, which was the first event. Ioana Crișan was warming up, she was the first to go on. Cătălina Ponor stood in the corner and looked at me, „Do you want to go?” she asked me. „No, you go ahead.” There was one minute left and it seemed like something was keeping me glued to the spot. The coach told me, „Go ahead, you have to warm up.” And I started. I just heard a snap. That was it. Nothing hurt. I thought I either sprained my ankle or the floor had broken under me. I fell and that anxious feeling disappeared. I was quiet. The coach asked me what was wrong. Then the doctor came and realized the Achilles tendon was torn because I could not move my leg anymore. When I heard we had to go and have an ultrasound, I realized that everything was over for me. I started crying, feeling disappointed that I cannot compete, that I would not be able to feel the excitement I usually feel in competition. That I got to here and I couldn’t even compete in two events. I was not thinking about the medal, just the fun of competing: people clapping after you finish a routine, even if you don’t succeed. How much they appreciate you being there and enjoying gymnastics. It’s a feeling I cannot have every day, and I need it. The first time I entered the gym at five and a half years old, after a coach saw me rollerblading in the park, I was hooked. I was coming to the gym and could not wait to get on the beam. I couldn’t stay still for a moment, the coaches had to tell me to stop. You have to have a lot of energy when you’re young. It gets monotonous along the way, that’s why you have to like it. You have to like gymnastics so much that you will get over anything. Even if it’s a very nice sport, it’s also very difficult. Day-to-day workouts, thousands of repetitions. I like the technical work, but there are days when you don’t feel good or you’re in pain. That’s when the coach tells you that you have to push through, that you have to accumulate for the competition. Over time, all the wear and tear result in injuries. There are so many elements, the difficulty has increased a lot and you cannot get away with doing just easy stuff, you have to push yourself so that the performance can be perfect. My biggest problem have been injuries. I’ve had six surgeries so far. In 2011, when I was still a junior, I injured my glutes. In 2012, at the London Olympics, where we won the team bronze, I competed with a broken fascia and a fractured left foot; I could barely step on it because of the pain, but I told the nurse to tape it so tightly I wouldn’t be able to feel anything. She did it so well that after I did a double Tsukahara, I cried tears of joy mainly because it hadn’t hurt that much. In 2013 I had a shoulder injury and for three months I couldn’t move my arms; I still have pain during more complicated elements on the uneven bars, but I ignore it. The most beautiful competition was the 2014 World Championships in Nanning, where I won the all-around silver and again silver on floor. I felt so well-prepared physically and mentally. I was injury-free, I was able to train continuously, to make progress. I felt confident in every event. I have not felt that confidence since then. In 2015, I missed the European Championships because of an ankle injury I hadn’t managed to heal in eight months. I went to all sorts of physicians, physiotherapists, osteopaths. To avoid surgery and be able to go to the World Championships to help the team (all the girls were injured) I had infiltrations done. At the Glasgow World Championships we came in 13th and missed the direct qualification for the Olympic Games. It was a shock. I couldn’t talk to anyone for two days. Then I realized that failure was also part of life and you must go on. I received a lot of messages from people who told me that I had to show that I’m still doing what I love. In the all-around final, I won the bronze. The following year, I broke my finger during practice and had two surgeries on my hand. I missed the pre-Olympic event and Romania missed the last chance to qualify for Rio. I took part in the Olympic Games just as an alternate. In 2017 I had a plantar fascia on the right heel and I trained for just three weeks before the European Championships in Cluj, where I won the bronze on beam. I could not compete for the all-around event. But I felt ready for Montreal. At the National Championships I had won four gold medals and I was confident. Too bad about what happened in Montreal – all over before it started. I had the first surgery right after I came back home, in October 2017. After a week I began to recover, after five or six weeks I was able to walk without crutches and start going to the gym. I did bar routines without putting my feet on the bar or jumping. But my foot was not OK. It hurt, it did not feel good, but I thought it was normal because I hadn’t gone through anything similar before and didn’t know what to expect. Then I got injured again. It felt unreal. The doctor told me it was too early to put my foot on the bar. In December I had surgery again, done by the same doctor. I should have had a second opinion, but I trusted him, we’d been working together for four years. After the second surgery, I did not want to hear about gymnastics. The first two months, while I was on crutches, I went to the gym almost daily, just to say hi to the coaches and see the girls. We would talk for a few minutes and then I’d leave. When I started walking, it was very painful. I took me 20 minutes to cross the gym. The coaches asked me when I was going to come back, but I didn’t trust my foot, and I realized there was no point in resuming training. I felt I could not even walk properly, how was I going to climb on an apparatus? I couldn’t even summon enough strength for recovery. I cried every day. I felt helpless, especially since it was winter, it was icy and I had to watch every step. I was staying in, watching movies, but how many movies can you watch? By that time I was living alone; my mother would visit, my brother and my sister-in-law would take me to the movies or to dinner. But they could not spend all their time with me, they had their jobs, their lives. Once every three weeks, I went to the doctor and he said it was fine. But I couldn’t do anything. Physical therapists felt a hole there, which later became a bit bigger, but the doctor said it was OK. I could not even stand on tiptoe, it was that painful, but he still said it was OK. I decided to retire temporarily and apply for annuity. I told the coaches it was the best solution for me, mentally. I wouldn’t be in a hurry, I could focus on my recovery properly until I was completely ready to come back. I went to college, got my degree, my driving license. For six months I worked in accounting for the Dinamo club, where I was also employed as an athlete. I worked from 8:00 to 16:00, after that I went to recovery until about 6:00 pm, then to the gym to workout, and would get back home in the evening. I wanted to see if I could find myself outside gymnastics, but I couldn’t. I can’t say I didn’t like it, because I was just feeding data into a computer, but it was not very active. I was used to doing sports every day, always moving. Now I was sitting in an office. It didn’t give me the adrenaline I craved. In the summer of 2018, on my birthday, I went to Izvorani for a competition between the gymnasts involved in the project „Country, country, we want champions”. Mariana Bitang and Octavian Bellu organized something for my birthday and I had a discussion with Mrs. Bitang. I told her how my foot was feeling and she asked if I wanted to have an MRI. I was afraid of what I would find out, but I did. I sent it, at her suggestion, to the doctor of the German Olympic team. Maybe I should have done this earlier, not after seven months of recovery. He told me that the tendon is half broken and I have to have surgery, otherwise it can break any time. I went to four other Romanian doctors, with the same question: Can I still do top-level gymnastics? Some told me that we need to see how everything goes, others that I cannot even return at a national level. Mrs. Bitang suggested us to try Professor Weinstabl in Vienna, who did my hand surgery in 2016. When he told me that he was sure I could get back to the top, I told him to schedule me for surgery. After it was over, I was in intensive care and crying, because I was afraid of what I’d hear. I was afraid he’d say I had to walk on crutches for three months. After the first two surgeries, I had a splint on the foot for a month or two. It was holding my foot still at a 90-degree angle and the nights it hurt so much I could barely sleep. Now, he told me to move my leg the day after surgery. After six weeks I didn’t need the crutches and started to get serious recovery. I started working in the gym, climbing on the beam, walking lightly. In January 2019 I went for a check-up. He felt the tendon, told me to stand on tiptoe, walk around. „So can she get back to training again?” Mr. Bellu asked. When he said yes, I felt relieved. I was amazed at how quickly I got back into the groove when I resumed training in February. I trust my foot completely; I don’t have to protect it, because the tendon is now stronger than the other foot. I know the technical elements, I just need to get used to the movements, but that’s not very hard. The physical side is tougher, because I’ve never been a muscular athlete and I have to work extra hard. It’s good to do routines after so long. I missed it so much. Even if it’s tiring and sometimes the foot cannot take that much effort, I like it. I tell myself I have to make the most of today – maybe tomorrow I won’t be so fit or I’ll be tired and it’s better to do it now. In the year and a half while I was sidelined, I accumulated a lot of positive energy. I don’t regret the injuries I’ve had, they toughened me up in a way. It could have been worse, I’m aware of that. Should I say that all these years have been a failure because I’ve been injured so many times? Why should I think so? It’s a slippery slope. I hope to return to the World Championships this autumn, but no one can guarantee that I’ll make it. Neither me, nor the physician, the physiotherapist or my coaches (I’m working with Mrs. Bitang and Mr. Bellu again). No one in this world can guarantee that everything will be fine in two months. During this break I started to see things differently. I’m no longer baby Larisa, I’m all grown-up. Now, if I return to gymnastics, I’m doing it strictly for myself. Because that moment when I’m on the apparatus is my moment. Nobody can take it from me. I know that I’m up there and no one else would be better than me. And that’s what I love, I love that feeling. I love it when people watch me and I can see the joy on their faces. It’s not every day that you get to experience this and I relish it, because I like making people happy. It’s like giving a gift: their happiness is my happiness. ‘The Undefeated’ was written by Andreea Giuclea and tells the stories of some of the most important Romanian athletes. Written in the first person in the form of personal essays, the texts speak about various aspects of performance: the long and unpredictable journey from defeat to victory, the hard work behind the great results we cheer for in the arenas or admire on television, the most painful defeats and how hard it is to start over the next day, injuries that make athletes lose sponsors and confidence, long recovery months and punishing training camps, the hard-to-find balance between personal and professional life. 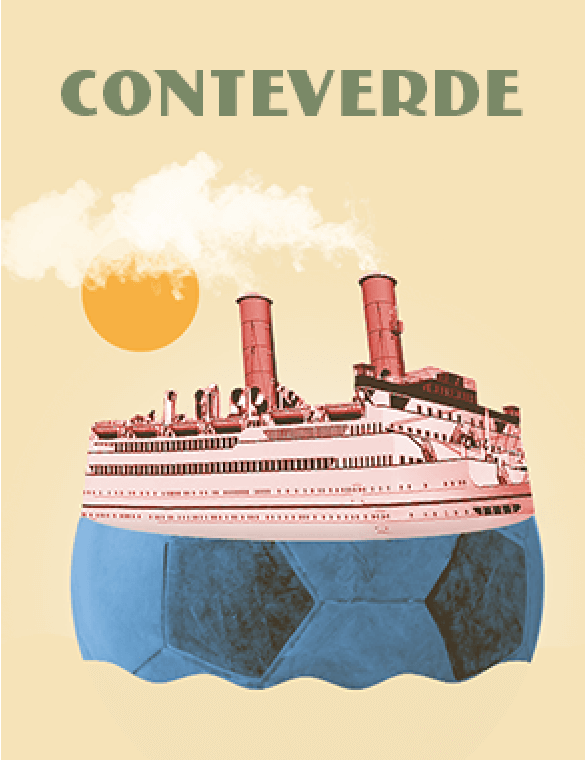 You can buy the book (EN & RO) here. Andreea Giuclea writes about sports for the magazine DoR and Lead.ro. This text is part of a series supported by BRD. 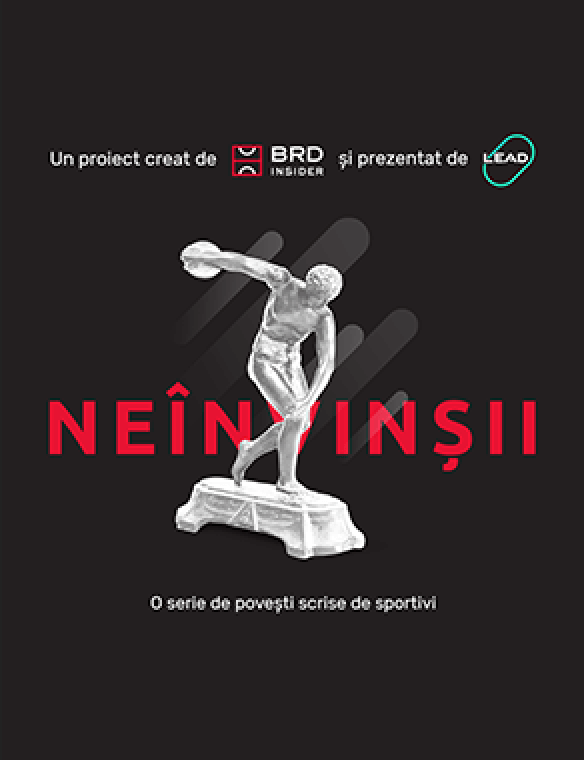 Andreea also writes Povești din Sport, a newsletter about the most captivating sports stories and their power to inspire. You can subscribe here.